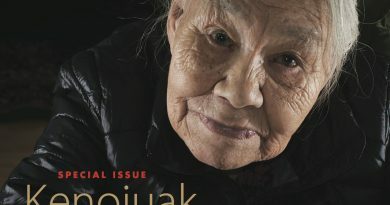 Kananginak Pootoogook, one of Canada’s pioneering Inuit artists, died in an Ottawa hospital Wednesday after a long battle with lung cancer. He was 75. Pootoogook was born in 1935 in Ikirasaq, an Inuit camp in Canada’s Arctic. 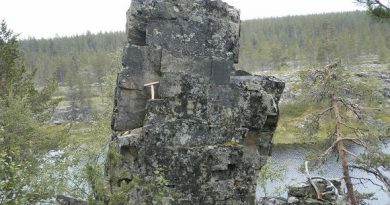 His art career began after he moved to Cape Dorset, a small island community off the southwest coast of Baffin Island. There he began working with James Houston, a Canadian artist who had settled in the community and taught local Inuit to make prints. 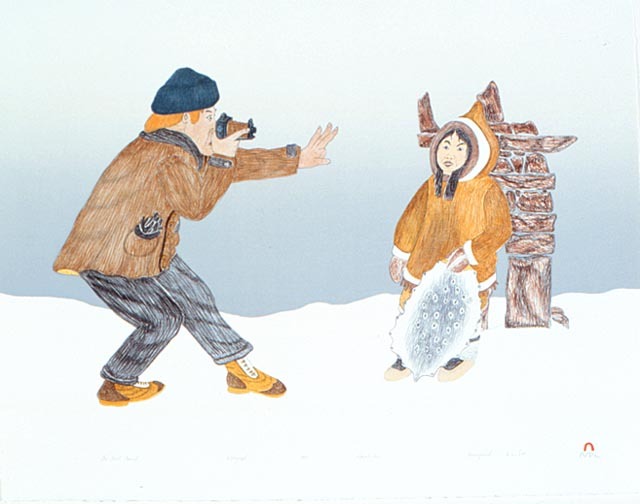 Starting in 1959, the prints produced in Cape Dorset were released in an annual collection. 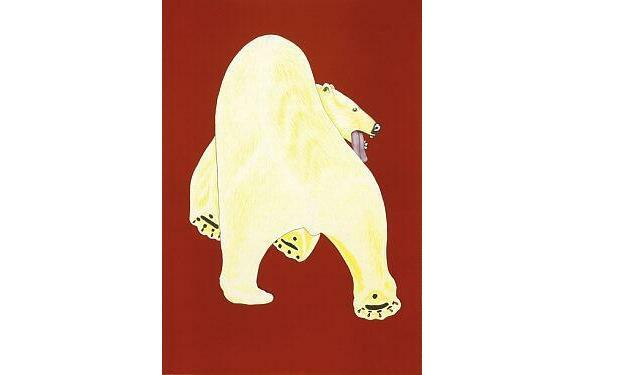 The Cape Dorset prints of Arctic nature and traditional Inuit life were a hit in the art world and a favourite of collectors. The collection became an international phenomenon and is now sold in galleries all over the world. 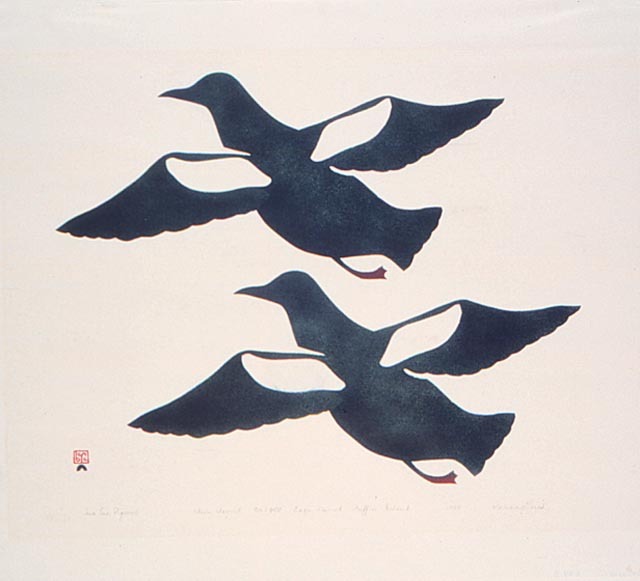 Pootoogook was involved in the Cape Dorset collection from the beginning, both as a printer and as an artist. Over the course of his career, he became best known for his prints depicting nature and the evolution of the traditional Inuit life he grew up in, especially those reflecting on Inuit’s first contacts with Europeans. 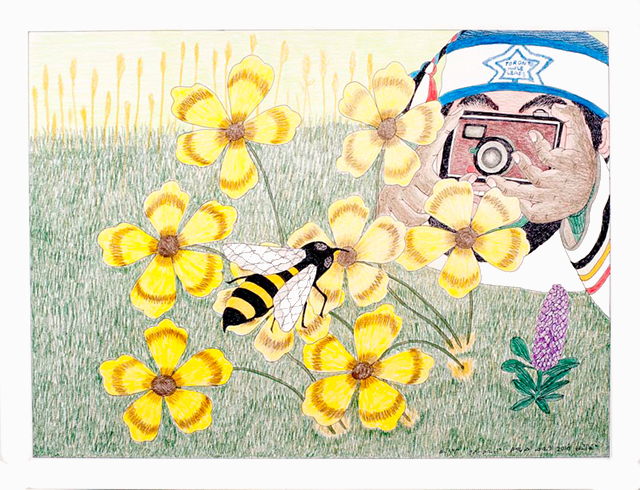 His 1992 work “The First Tourist” features a white tourist motioning to a local Inuk to stay still while he takes a picture. Bill Ritchie, the manager of Cape Dorset’s Kinngait Studios, says Pootoogook’s death is a huge loss for the art world. 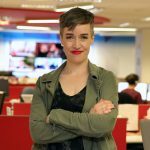 “Kananginak is the guy that made The New Raw possible,” Ritchie said, referring to the up-and-coming generation of iconoclastic contemporary Inuit artists from Canada chronicling climate and social change in the North. Over the course of his career, Pootoogook racked up achievement after achievement. He was elected a member of the Royal Canadian Academy of the Arts in 1980. Most recently, he received a 2010 National Aboriginal Achievement Award for his artistic accomplishments. “I see him as an artistic pioneer of a certain kind of Inuit art,” said Robert Kardosh, curator of the Marion Scott Gallery in Vancouver, British Columbia. 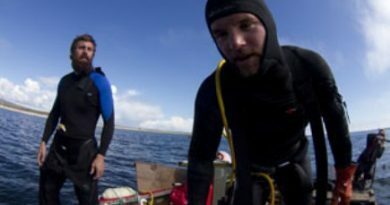 “Especially his explorations of the evolution of Inuit life after first contact with white people. 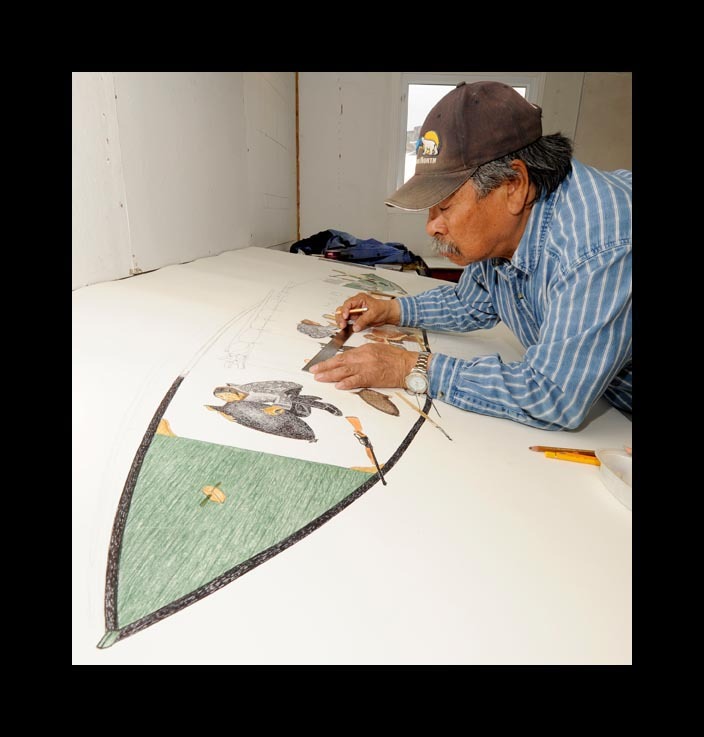 Pat Feheley, director of Toronto’s Feheley Fine Arts and a longtime friend of the artist, said Pootoogook had recently taken up large format drawings and was on the cusp of an exciting new phase of his artistic career. Jimmy Manning, a close friend of Pootoogook’s who often worked as his translator, said Cape Dorset hasn’t just lost one of its most prominent artists, but also one of the pillars of the community. “Kananginak cared about everybody,” Manning said from his home in Cape Dorset just moments before leaving to be with members of the Pootoogook family. “He didn’t want any Inuit family to go hungry. He was one of our wisest and most trusted advisors. Reached at his home in Toronto, Terry Ryan, who managed Kinngait Studios for 40 years, said Pootoogook came to be one of his closest friends. Pootoogook’s family say the artist rarely talked about his work to them, and that more than anything, they’d like him to be remembered for his genorosity and wisdom. Shooyoo, Pootoogook’s wife since 1957, said these qualities are what she’d like people to remember most about her husband. Service and funeral arrangements have yet to be announced. Pootoogook is survived by his wife Shooyoo, several children and grandchildren, and a large extended family. Click here for a retrospective of Kananginak Pootoogook’s work in the Eye on the Arctic photo gallery.